In its recent report, The New Plastics Economy, the Ellen MacArthur Foundation notes that plastics remain in the oceans in original form for hundreds of years, and longer when in small particles. The authors state that barring substantial action, the oceans could contain one ton of plastic for every three tons of fish by 2025. 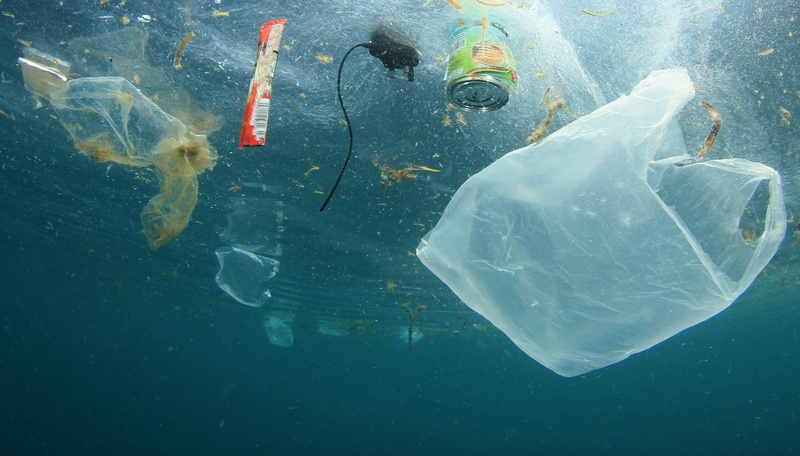 Further, by 2050 the weight of plastic in the oceans could exceed the weight of fish. In addition, 72% of plastic packaging is not recovered – 40% goes to landfill, while the remainder leaks out of the system elsewhere. Alarming statistics, for sure, providing great incentive to cut plastic waste. As with all system problems, there are other sides to the plastics equation to consider. The combined light weight and high strength of plastic makes it attractive from an efficiency standpoint. A study by Franklin Associates notes that replacing plastic packaging in the U.S. with substitute materials would require 4.5 times as much material by weight, coupled with an increase in energy demand of 80% and a 130% increase in global warming potential. Similarly, a study by Trucost finds that the environmental cost of plastic in consumer goods is 3.8 times less than that of alternative packaging options. While the GHG savings from reducing wasted food is substantial, a recent study by the Institute for European Environmental Policy adds more complexity, suggesting that in certain cases plastic packaging increases food waste. For example, multi-pack offerings can lead consumers to buy more than they can eat, while fixed package sizes stemming from aggressive retail standards limit the amount of produce items selected for shipment (with the rest wasted on the farm). As with food waste, the problem of plastic waste is complex and systemic. Both food and plastic waste reflect the need for responsible consumption and production patterns and lie at the heart of the Sustainable Development Goals (SDGs). And while both problems provide many opportunities for opposing views, there is one core tenet on which we can all agree: prevention (i.e. source reduction) is the best solution. By preventing the occurrence of food waste upfront, we avoid all of the associated resource consumption and greenhouse gas emissions generated from farm to fork to landfill. Prevention of food waste also has a multiplier effect; it avoids the generation of plastic packaging which would accompany that food – material which all too often ends up in landfills or the oceans. In short, preventing food waste prevents plastic waste – and that’s a big deal. The widespread use of plastic packaging to transport food has its benefits in terms of preserving more food for human consumption and in reducing GHG emissions by reducing waste. But it is not without many other environmental problems. We can and must get better at increasing the reusability of plastic packaging and increasing recycle rates, for example, to minimize the negative impact of plastics – but at the end of the day our most impactful step will always be to prevent plastic waste from occurring in the first place. And very often, that starts with preventing food waste.